Vince Scott came to Hamilton after a college career at Notre Dame University and two years of professional football with the Buffalo Bills. Scott was with the Wildcats when they amalgamated with the Tigers to form the modern-era Tiger-Cats. 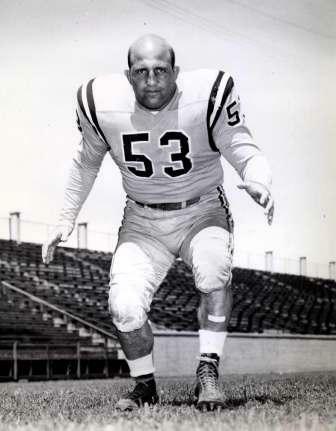 He was a Perennial All-Star, and was one of only a few players to participate in all four shrine all-star games played from 1955 to 1958. Vince Scott was twice chosen for Ted Reeve’s All-Canada Team. He was selected for the 1955 coaches’ dream team, Hamilton’s Fabulous Fifties Team, and also the Eastern Team of the Century.